No one left to dance with? Anne Chamberlain as Carrie clears out the dance floor. / Photo by Rick Pena. October and November are jammed with openings, as many as seven in one week. To find reviews of all the current productions, click on the “Reviews” tab in white letters in the teal bar in the upper left-hand corner. The primary pleasure of Slow Burn Theatre Company’s run at the legendarily miserable (but subsequently overhauled) musical Carrie is enjoying how glowing talent, unbridled earnestness and total commitment provides a worthy reason to watch what remains a flawed piece of raw material. Teenage angst pours off the stage with tidal force from a mostly youngish cast featuring a brace of powerful performances from several folks, especially Anne Chamberlain as the titular telekinetic and Shelley Keelor as her religiously fanatical mother. While the work of those two and the direction by Patrick Fitzwater alone are worth the price of admission, the entire troupe’s effort redeems the evening. You’ll be disappointed if your sole motivation is shadenfreude at the chance to see the 1988 musical that gave a book about famous flops its title, Not Since Carrie. The makeover of 90 percent of the original work has stressed and bolstered its virtues, resulting in Michael Gore’s passionate score plus an underscoring of the resonating themes of bullying and its tragic consequences. That said, Dean Pitchford’s blunt script written in crayon, drawn from his 1976 screenplay and Stephen King’s 1974 novel, just lurches, lollygags and then races so quickly that it would take a Formula One driver to negotiate the hairpin plot turns. The melodrama focuses on a teenage misfit tortured by her schoolmates when the naïf has her first menstrual period in gym class. 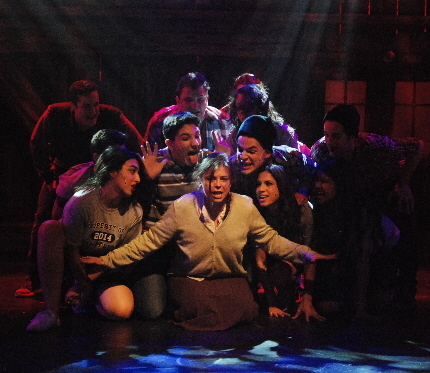 Her confused mortification is savagely mocked by classmates led by Chris (Christina Flores). 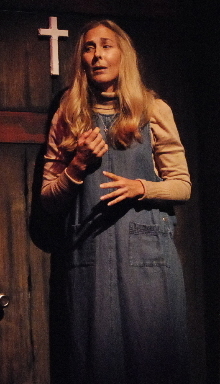 Only her childhood friend Sue (Jessica Brooke Sanford) regrets having tormented her. Back home, Carrie’s smothering mother Margaret is terrified that Carrie will succumb to the carnality that caused Margaret to bear Carrie out of wedlock. When she literally locks Carrie in a closet, the girl discovers supernatural powers. So when Chris plots to humiliate Carrie at the senior prom, death and destruction result. Meanwhile, the ultra-devout Margaret, who is convinced her daughter is a witch, has homicidally sacrificial plans for her daughter. The last sentence notwithstanding, the most crippling aspect is Pitchford’s lyrics, which heap cliché upon cliché. It’s a testament to the acting skill of Chamberlain, Keelor, Sanford, Flores and Ann Marie Olson as a sympathetic gym teacher that they unearth and deliver the emotional truth under the banalities. As usual, director-choreographer Fitzwater skillfully stages the show and elicits credible performances. The shortfall is that the “magic” of a floating cross, a chair moving by itself, windows slamming and the final devastation at the prom are distractingly unconvincing. But the show is almost worth seeing twice just to savor the performances. The winsome and winning Chamberlain has built an enviable reputation as a solid actress who can issue a gorgeous pure “head voice” or a Broadway belt. She was memorable in supporting roles as the troubled daughter in next to normal and Cinderella in the tongue-twisting Into The Woods. Now she has a lead part right in her wheelhouse and she does it justice. Her Carrie starts as a church mouse without succumbing to stereotypes and then – this is the challenge – convincingly grows into someone discovering confidence and self-worth, illustrated in the song “Why Not Me?” as she looks forward to the prom. There’s an especially telling moment when her plaintive little girl voice suddenly gives way to an agonized rock n’ roll wail at the moment she feels betrayed. If this Carrie is not magnetic enough to carry the audience through the first half of the show, that’s how the part is constructed and no fault of the actress. Keelor, who has been working locally in revues like Waistwatchers and Respect, finally gets to show what she can do both as an actress and a singer. The role of Margaret almost screams to be played as an over-the-top scenery-chewing Gorgon driven to fanatical lengths by her retreat into religion. But Keelor and Fitzwater refuse to succumb. She somehow finds the internally-consistent justifications for what Margaret says and does, even when she’s planning to sacrifice her own child in the heartfelt, heart-breaking tour-de-force “When There’s No One.” She delivers a credible, rather than cartoonish character. She has a fire-and-brimstone vocal quality to invoke the horrors of Hell for her child, but she also has touches the depths of her character’s angst with a voice as capable of a lullaby as a rant. Shout-outs also to Sanford who somehow makes Carrie’s friend a believably conflicted teenager and Flores whose despicable wild child Chris is also driven by internal forces. Both have standout voices as well. Alexander Zenoz is Sue’s handsome boyfriend and Carrie’s prom date; Kristian Bikic is Chris’ scumbucket beau; Slow Burn co-founder Matthew Korinko is a guidance counselor. The ensemble is awash in a teenage brew of budding sexuality, arrogance and confusion: Kayla Fast, Jennifer Chia, Colleen Campbell, Bruno Vida, Ricardo Silva, Michael Friedman and Josh Lerner. Rick Pena’s costumes, as usual, evoke individual character, but special note is due his outfit for Carrie (including an unfashionably long skirt, flat shoes, a shapeless button up sweater with arms too long) and Margaret who wears a woefully outdated denim jumper. Credit, too, to whoever came up with the hair styles (probably Fitzwater who is a hair stylist) including Carrie’s long brown hair tightly bound in a single braid over the shoulder and Margaret’s strange coif of long blonde hair. Caryl Fantel did a solid job as music director for a show that is mostly sung through or underscored. She led a note perfect band including Mark Annino on drums and percussion, Konstantin Litvinenko on cello, Kevin Stewart on guitar and Pat Ward on bass. Fitzwater has said that companies should not limit themselves to “perfect works,” especially when a show has virtues worth exploring. He did it just last season with the musical Chess, which has a flawed book, but he managed to highlight an exciting score with strong singing actors. It is a noble sentiment that should be rewarded. But audiences need to manage their expectations in such cases and cherrypick the facets of a show that are worth celebrating, as is the case here. 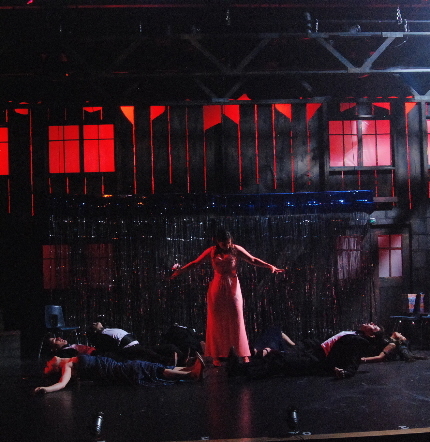 Carrie The Musical by Slow Burn Theatre, performing through Nov. 6 at West Boca Performing Arts Theatre inside the West Boca Community High School, 12811 West Glades Road. 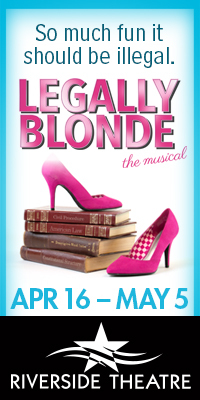 Performances are 8 p.m. Thursday-Saturday, 5 p.m. Sunday. Runs 2 hours 10 minutes including one intermission. Tickets are students $25, seniors $35, adults $40. Call (866) 811-4111 or visit slowburntheatre.org. To read a feature story about the making of this production, click here. 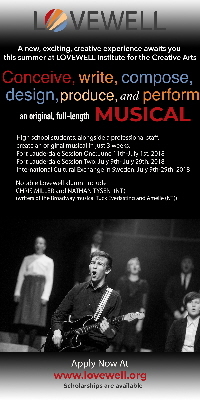 This entry was posted in Performances, Reviews and tagged Ann Marie Olson, Anne Chamberlain, Carrie The Musical, Christina Flores, Dean Pitchford, Jessica Brooke Sanford, Michael Gore, Patrick Fitzwater, Rick Pena, Shelley Keelor. Bookmark the permalink.